Unwind in the spa-quality hot tubs while kiddos play Marco Polo in the pool - it's heated year round and has a waterfall! Take your apres beverage out to the communal patio. Chat with your crew or meet fellow travelers. Check out the view from your own furnished patio. Scope out the scenery over morning coffee and a good book. Kick back for some downtime with your crew in a roomy living area with ample seating and flatscreen TV. Every suite has a modern, well appointed kitchen - perfect for home-cooked meals and midnight snacks. Rustic touches plus modern amenities make for an unbeatable stay in Aspen. You're right next to Aspen Mountain Ski Resort and the Silver Queen Gondola. You're located just a 5 minute walk from Main Street right in the heart of downtown Aspen. A swim in the heated outdoor pool is the perfect way to unwind aprés-ski. There are two outdoor hot tubs at the resort – try them both and pick your favorite. Stock up on snacks, Smuggler Mountain Trailhead is a 5 minute drive from the resort and the Ute Trail is just a 3 minute drive. You're just an 8 minute drive to Aspen Golf & Tennis Club. Grab your clubs and go. Enjoy the homey atmosphere of a condo, the prime locale of a ski lodge, and the amenities of a hotel all at once at Aspen Square Condominiums. Thoughtful perks start the minute you arrive, beginning with free underground parking (a real rarity so close to the slopes!). Snack on complimentary lemonade and cookies while you wait to check in. The lobby is rustic yet chic, with modern furnishings and kitschy touches like a deer-antler chandelier and stone-hearth fireplace. No need to clutter up your suite with gear thanks to onsite ski lockers. Don’t worry about traffic or shuttles either - once your crew’s settled in and raring to hit the slopes the base of Aspen Mountain (often called Ajax by locals) is just across the street! Walk over to the Silver Queen Gondola in just a few minutes, even with little ones in tow. 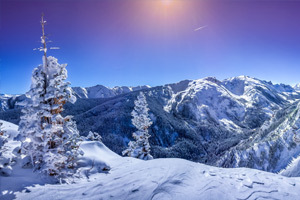 Aspen Snowmass includes four different ski bases, with a shuttle running throughout. So if you feel like exploring beyond Aspen Mountain, go for it! Your lift ticket is good at all four mountains. For some grub on-mountain tell the crew to meet you at the top of the Silver Queen for lunch at Sundeck, known for its stunning views and organic made-to-order stir-fry dishes. After a day well-skied check out the lively après scene, or head back to Aspen Square for some R ‘n R (no shame!). If the crew is begging for your signature homemade enchiladas for dinner just pop by City Market nextdoor for the necessary ingredients. After dinner suggest a trip to the pool deck so you can soothe your tired muscles (signs of an adventure-filled day) in the outdoor hot tubs. The posh, spacious condos at Aspen Square each have their own style, with décor ranging from mod to kitschy – but always tasteful and homey. Even the studios feel huge, complete with fully equipped kitchen and roomy sitting area. Studios include a luxe king bed and a cushy sleeper sofa, making them great for couple’s trips and small families. Traveling with the whole crew? The two-bedroom, two-bath unit sleeps up to six people comfortably. Inviting living areas have comfy seating and a flatscreen TV with DVD player – perfect for staying in for a mellow movie night. And no matter which condo you book, you can count on a cozy wood-burning fireplace and a charming furnished balcony. Staying at Aspen Square puts you in the perfect spot for checking out both the mountain as well as historic downtown Aspen. Take a stroll down Main Street to admire the Queen Anne Victorian houses, or check out the Wheeler Opera House. History buffs will appreciate a stop by the Wheeler Stallard Museum – located inside the 1888 home of Aspen’s founding father Jerome B. Wheeler. Dining options also abound in Aspen. Ajax is a popular après eatery at the base of Silver Queen Gondola known for its people-watching and truffle fries. For a date night with ambience head to Element 47 to try their locally sourced gourmet cuisine and upscale wine list. - The front desk is open 7:00 AM - 12:00 AM daily during peak season and 7:00 AM-11:00 PM daily during off-season. Guests that are planning to arrive after hours must use the phone in the lobby and dial 0 to call security who will check them in. To receive after hour check-in instructions via email ahead of their arrival guests must contact the property using information on the booking confirmation. - Kids stay free! Children 12 years old and younger stay free when using existing bedding. - Free cribs (infant beds)! Located within the White River National Forest in Pitkin County, Colorado. Aspen Mountain (formerly Ajax) was founded in 1946. Access the restaurants, skiing, golf, hiking and biking trails via the Silver Queen Gondola.